There are different reasons why you need Mercury key replacement at the soonest possible time. You may have jammed the ignition key of your vehicle or your key has broken down when you tried to use it. You want to find professionals who will help you with your current issues. If you need Mercury car key replacement, simply give us a call. We can provide the replacement needed for your Mercury models. We can provide car key replacements for 1949 Mercury, 1968 Cougar, 1971 Capri, 1954 Sun Valley, and 1957 Turnpike Cruiser. If in case you have a Mercury car model that isn’t mentioned above, do not hesitate to give us a call. We may still be able to provide key replacement or even Mercury key FOB programming depending on your needs. Some people are not familiar with Mercury probably because this division has already closed down. Still, it has managed to produce awesome cars that people are still using up to now. Some have Mercury cars that they have greatly maintained through the years. 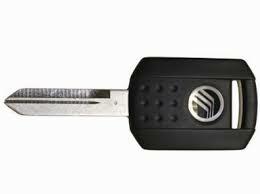 You cannot just allow any locksmith to provide the Mercury car key replacement that you need for your vehicle. It can be even trickier when you need Mercury key FOB programming. The wrong program can make your whole system shut down. You do not want that to happen. The best option available for you is to contact us. We, at Bobcat Locksmith, think about your overall satisfaction with our services. We do not want you to feel that you are being neglected. You can dial our number and we can assure you that our customer service representatives will be there to help you out. You can let us know your current situation so we can assess what possible services you may need. Remember that Mercury car key replacement can be done in different ways. We have told you that we can provide the services that you need but there are still other options available for you. There are some people who believe that calling the car dealer is the best thing to do probably because they feel that the keys they are going to get are “originals.” It will be your choice if you want to contact a car dealer. This is ideal if you want to get a spare key. For Mercury key replacement, it can be trickier especially since you cannot drive the vehicle to the car dealer. You need a tow truck to make this happen and it will not always be easy in your pocket. 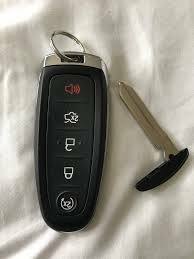 If you just want to have a spare key, this option is possible but take note that you need to spend a few hundred dollars to get the car key. For Mercury key replacement, you may want to find other options instead. Take note that Mercury key FOB programming can be trickier when you choose to contact a dealer. Not all dealers have access to the codes and pins needed in order to create a spare or replace a lost or broken battery. You need to contact the right locksmith to effectively reprogram your battery. Once this is done well, you have nothing to worry about anymore. 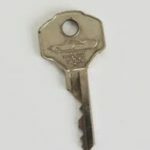 Different options are available so that you can get a Mercury car key replacement but the best option is to contact us, your chosen locksmith. We make sure that you will only get the best services possible. We will not use faulty equipment that may cause some damages to your vehicle. One of the best advantages is the fact that we do not require you to spend a lot of money on our services. We believe that we have competitive prices. Our team of professional locksmiths consistently undergo training in order to improve their current skills. Our locksmiths are aware of the latest technologies that they should be aware of. This will help them know what they have to do no matter what your current situation is. You can also contact us about our competitive prices. We will only charge depending on the services that you require. You can ask for a quotation from our customer service representative over the phone. Our agent will try to provide an accurate price depending on your required services. Prices may change depending on the key that needs Mercury car key replacement. The prices will also be different for Mercury key FOB programming depending on the type of car key that you are using. Kindly be specific in telling us your car model and year. The more accurate your details are, the more ready our team will be. We need to bring tools and other equipment that will make Mercury car key replacement easier to accomplish. One reason why people hate having to get Mercury car key replacement is they know how problematic and stressful it can be. We will do our best to provide the Mercury key FOB programming that you need soon. We make sure to give the new car key in less than an hour. You will be immediately informed if it would take longer than that to finish the car keys. It will be easier for our locksmiths if you have the original car key with you. Lost car keys are harder to duplicate. Still, it does not mean that it is impossible. We make use of modern key technologies to make Mercury car key replacement successful even without the physical key. We make sure to provide all of the auto locksmith services that you may need. We can offer ignition repair services especially if your ignition has been acting up for quite some time. We can also offer to get your car keys from the trunk of your car. We provide auto lockout services no matter what time it is. Emergency situations can happen anytime. The moment you let us know that you need Mercury car key replacement, we will be happy to provide the services you need.